So you’ve graduated from the Respiratory Therapy program, passed the board exams to earn your credentials, and now you’ve applied for and received your license with your individual state. First of all, I just want to give you a huge shout out and big congratulations because that in itself is a major accomplishment and a job well-done! But now that you’ve put in all the hard work to obtain your license and credentials, how exactly are you supposed to keep them active to meet all the requirements from your state, as well and the NBRC, without letting them expire? That is what we are going to discuss in this article. As a new Respiratory Therapist, it can be nerve racking to try to wrap your head around all of the different requirements that you must do in order to maintain your credentials and licenses in good standing. With that being said, we are going to take the guesswork out of the equation for you and break it down step by step. Basically, it’s a program and requirement set by the NBRC that every Respiratory Therapist must abide by in order to renew and maintain their credentials. It’s a way to make sure that Respiratory Care Practitioners stay competent in their skills as medical procedures and technologies change over time. It came into effect on July 1, 2002, therefore, all credentials that were awarded after then only last for a term of 5 years and they’re calculated at the end of the calendar month in which the credential was issued. So, for example, if you earn your credentials on August 1st, they are good (active) until August 31st five years from the date that you earned the credentials. All credentials that were awarded before July 1, 2002 are technically “grandfathered in” and do not have to participate in the Continuing Competency Program. Method #1: Complete and submit a minimum of 30 hours of Category I Continuing Education. Method #2: Retake and pass the board exam equivalent to your highest credential. For example, if you obtained your RRT credential by passing the CSE Exam, you will need to retake and pass the CSE Exam again if you choose this method. Method #3: Pass any of the NBRC credentialing exams that you have not completed. 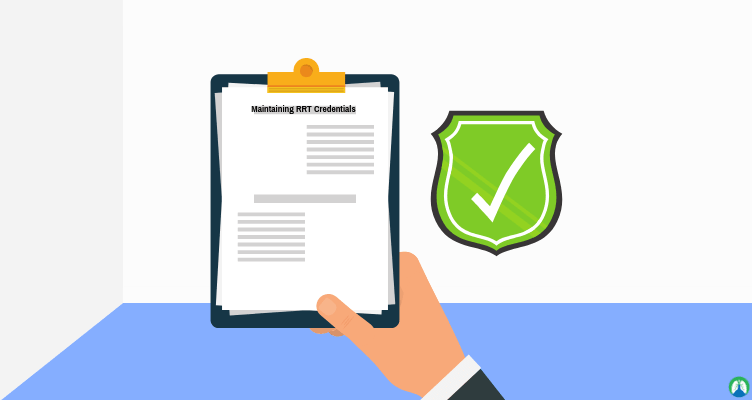 For example, you could take and pass the NPS (Neonatal/Pediatric Specialty) Exam in order to renew your previous credentials and earn the NPS credential altogether. CEUs, or continuing education units, are exactly as their name describes them to be. CEUs are units of educational activity that all Respiratory Therapists must obtain in order to maintain their credentials. Keep in mind that this educational activity must be directly related to Respiratory Therapy or pulmonary function technology. Lecture – for example; a conference or semenar. Panel – a presentation by several professionals within the field of Respiratory Therapy. Workshop – a series of meetings with hands-on discussion and/or training. Distance Education – this is the most common type of CEUs; includes all online learning and training. In order to maintain your credentials with the NBRC as a Respiratory Therapist, for both RRT and CRT, you must obtain at least 30 hours of general Respiratory Therapy CEUs within the required period of time. If you have other specialty credentials, you may be required to obtain additional CEUs directly related to said credentials. Keep in mind that your state license will likely require that you obtain and/or submit more CEUs in order to keep your license active. This number requirement will b different for each state, so be sure that you check with your own state’s department of health in order to abide by their guidelines. Unfortunately, sometimes (far too often, honestly) I will hear that a Respiratory Therapist will allow their hard-earned credential to expires because they failed to obtain or submit the required amount of CEUs. It breaks my heart when I see this happen, however, there are actions that you can take. If it occurs within six months of your credential expiration, you can take part in a grace period and have the option of entering your CEUs online and paying a $250 reinstatement fee. Ouch. Still, this is better than letting them go altogether. In order for this to work, the CEUs that you submit late must have been earned during the five-year credential term. If this six-month grace period option is not utilized, you have two years (following expiration) to apply for testing to reinstate your credential. The good news is, if you successfully pass the exam, your credential will then be reinstated without having to meet the current admission requirements. The bad news is, if two years do lapse and you have not successfully passed the exam, you will be required to apply as a new applicant and meet all admission policies that are in effect at that time. So, basically, all of that to say this: Please, I beg you, stay on top of your credentials and don’t let them expire! Where can I submit my CEUs to the NBRC? You can easily submit your CEUs to the NBRC using their online portal that can be found through this link. As I mentioned, at the time of this writing, we are required to submit 30 hours of CEU credits within the 5-year period. Again, keep in mind that you State license required will be different and you should also stay on top of them as well. Maintaining your State license is equally as important as maintain your credentials with the NBRC. That is because, you will not be able to legally work as a Respiratory Therapist in the United Stated without both. How can I remember to submit my CEUs? In all reality, the responsibility for maintain your license and credentials as a Respiratory Therapy falls directly on your shoulders. It’s up to YOU to stay active. However, the NBRC does take every action imaginable to try and remind you when your credits are due. One-year reminder – a year before the expiration date of your credential, the NBRC will send a reminder notice to your last known address. This is why it’s important to keep all of your information current with the NBRC. Six-month reminder – 6 months before your credential’s expiration date, the NBRC will mail another follow-up notice. 90-day reminder – the NBRC will mail yet another notice 90 days before your expiration date. 30-day reminder – the NBRC will mail a FINAL notice 30 days before your expiration date. Here’s your sign! As you can see, the NBRC will do everything they can to try to remind you to get your ducks in a row. Still, as I said, it’s your responsibility to remember for yourself and abide by their guidelines. If you’re like me, then you will MAKE SURE that you have systems in place that will remind you. For example, I make sure I have certain reminders set on the apps on my phone and computer. Also, I make sure to keep it active in my daily planner. A daily planner is how I stayed organized as a Respiratory Therapy student. I still use it today as well to keep my work schedule in order and remember important things, like maintaining my license and credentials. How can I maintain my State License as a Respiratory Therapist? We’ve touched on this all throughout this article, but I just want to give you one final reminder that you will have to meet the required for your State License as well (in addition to the requirements you must meet with the NBRC for your credential). I get it. It’s confusing, especially for new Respiratory Therapists. But thankfully you have this article as a resource to stay ahead of the game when it comes to your licenses and credentials. The main thing to remember is that you need to submit your CEUs to the NBRC to maintain your credentials. This is typically every 5 years. Also, you need to submit your CEUs to your state’s department of health in order to maintain your State License. The time-frame for this submission is different for every state. 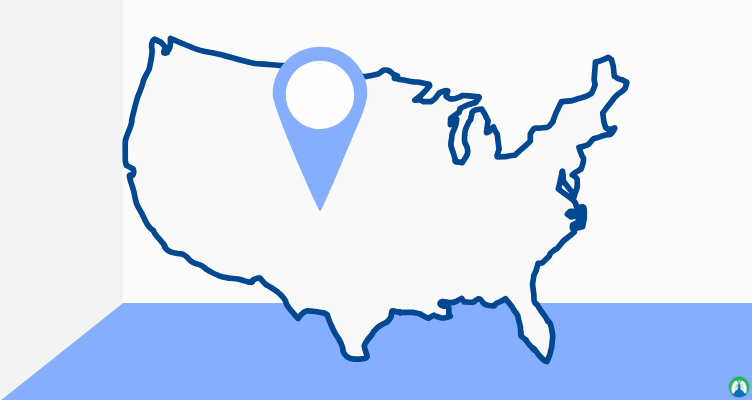 You can visit this page in order to find the requirements for each state. For example, I am licensed to practice Respiratory Care in the State of Mississippi. We are required to submit 20 CEUs every two years, as well pay a $100 renewal fee, in order to keep my State license active. Again, yours should be similar, but it will be different for each and every state. It is your responsibility to find out your own requirements and make sure that they are met. So there you have it! 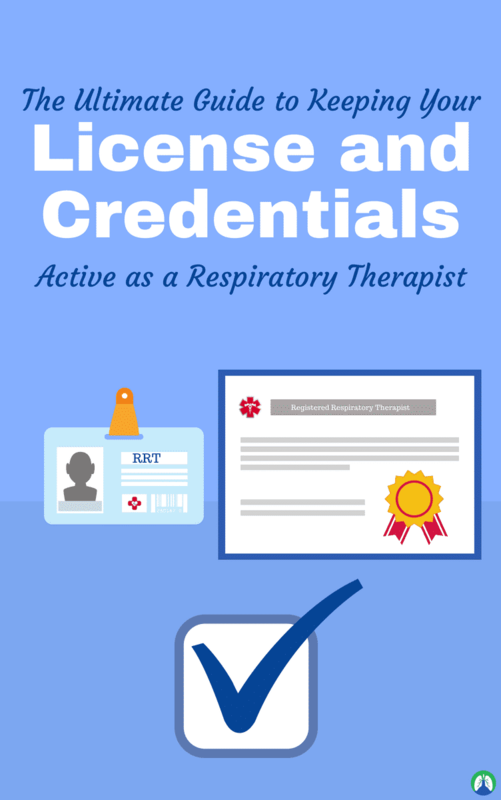 When it comes to keeping your license and credentials active as a Respiratory Therapist, you can use this guide as the ultimate resource. We learned about CEUs and the continuing competency program, among other requirements that you will need to stay on top of. 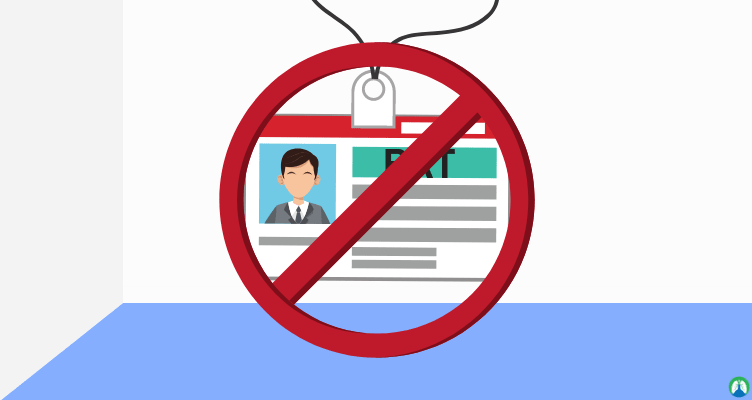 We learned what to do if your credentials were to expire, even though I know that you’re not going to allow that to happen! I hope this information was helpful for you and I hope you use can use it to keep your license and credentials active now and for years to come. Thank you so much for reading and be sure to share this article with your friends and coworkers so that they can keep their ducks in a row as well. Oh yeah, and as always, breathe easy my friend.